An art portfolio is required for admission to most majors. SAT scores are optional. Merit-based scholarships are available to international applicants. 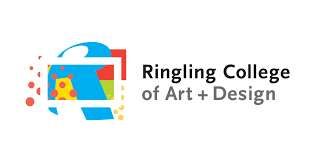 Located in the resort community of Sarasota, Florida, Ringling College of Art and Design attracts students from around the world who are committed to pursuing careers in the visual arts. The College offers the Bachelor of Fine Arts degree in ten studio-based majors: Advertising Design, Computer Animation, Digital Filmmaking, Fine Arts, Game Art and Design, Graphic Design, Illustration, Interior Design, Motion Design, and Photography. The College also offers an interdisciplinary B.A. degree in Business of Art and Design, which is focused on creative entrepreneurship and is also available as a minor. Over 70 recruiters from art and design corporations visit campus annually, a ratio of one per every 4.5 members of the graduating class. Ringling alumni are employed by Apple, Pixar, DreamWorks, Abercrombie & Fitch, American Eagle Outfitters, LinkedIn, CNN, Gensler & Associates, Google, EBay, Disney Animation, Disney Imagineering, Lilly Pulitzer, Leo Burnett, Wieden & Kennedy, The Cartoon Network, ESPN, Sony, Target, Ogilvy & Mather, Electronic Arts (EA), Epic Games, Young & Rubicam (Y&R), HOK Architects, Blue Sky Studios, Disney Parks & Resorts, Universal Studios, Yahoo! and many more. Beginning in 2014, all students are guaranteed the opportunity to engage in a professional, real-world experience working for an actual client through the College's CoLab (collaboratory) program. As a pioneer in the usage of technology for the creation of visual art, Ringling provides each student with a new MacBook Pro laptop computer, fully loaded with software and supported by IT staff, free of charge. The College's computer to student ratio is 2.2 to 1. Unlike most American art colleges, Ringling is located on a traditional, self-contained residential campus. While living on campus is not required, approximately two-thirds of students reside in college housing. Single and double rooms are available for first-year students, and apartment-style accommodations with full kitchens are available for upperclassmen. The city of Sarasota, a resort community on the Gulf of Mexico, is known for its world-class white sand beaches and its cultural resources. Sarasota is home to nearly 100 art galleries; and professional theater, ballet, and opera companies. Free public transportation is provided to all students. Ringling College students come from 55 countries, and 23% of the Class of 2018 is from outside of the United States. One of the most popular campus organizations is MOSAIC (making our school an international community), which strives to build intercultural sharing and support through a variety of activities and events available to all students. A full-time international student advisor assists with and provides information about visa applications, orientation to the College and life in the US, employment opportunities and regulations, study abroad, and academic advising.